I am looking to replace the control arms on the front end of my 05 Town & Country to resolve some front end looseness and rattle (previously have done shock towers and inner and outer tie rods, will be doing stabilizer linkages with this job), and have some questions about how to proceed. First, I know it is possible to replace the bushings and ball joints while keeping the original arms, so the question is: is it worth it? That is, has anyone else gone that route and then really wished they hadn't after beating on it for a few hours? I don't have a hydraulic press or access to one, so if that is required to get them in and out, then this option is out for me. I'm guessing maybe I should just buy the complete arms with bushings and ball joints pressed in already, just looking to hear some voices who have gone one way or another. That leads me to the next question: how do I choose which control arms to get? By this, I mean when I look on RockAuto, I see options for with and without "heavy duty suspension" — how can I tell if I have the heavy duty suspension or not? I can't find any good guidance or info on this. Looking at the product photos, they look identical, but that may be deceiving. I believe I have the "long" (119 inch) wheel base — does that determine the suspension type? Finally, just looking at all the options and wondering if there are recommendations on brands. I'm seeing SKP, Mevotech, Moog, ACDelco, Mopar, Detroit Axle, etc. 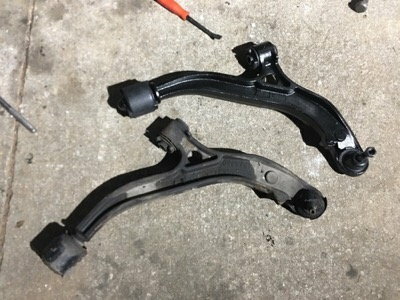 Just wondering if there really is a big difference between $30 control arms and $90 control arms, like, "you get what you pay for". Thanks! Get the complete control arms, you will be tired enough just doing the R&R ..BTDT! I am planning to do similar this spring with my 04,and with previous 03 and 04 vans I went the replace bushings and ball joints and the time involvement ended up not worth the price difference between individual parts and complete arms! 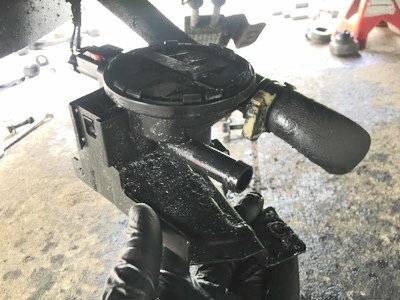 Without "heavy duty" means the ball joints do not have a grease fitting...LOOK at the pictures...BTDT too already..everything else is dimensionaly the same., and I have used a number of Mevotech brand parts from RockAuto with total satisfaction. Definitely the right choice to replace the whole arms, it would have been a lot of trouble for not much money saved to fight the old bushings and ball joints off. I ended up going with the Detroit Axle set on Amazon. They seem pretty well-built and the ball joint has a grease fitting. Below are a few more notes for anybody else thinking of doing this. To get the front driver side bushing bolt out, you need to jack up the transmission for clearance (saw that one on YouTube). While you have everything disassembled, good time to replace the stabilizer bar bushings. Mine weren't that bad, but were original Chrysler ones. An easy add-on to the job. Now for dumb question time: what the heck is this thing??? 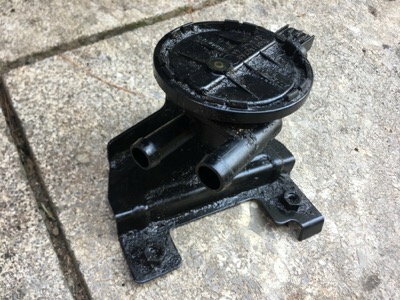 I had to unbolt it from the cradle plate, it has two hose connections (no fluid in mine...) and one electrical connector. 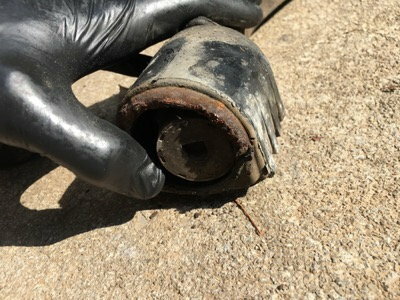 I traced the rear line back and it seemed to go to the gas tank after a canister or filter. Is this some kind of breather or low pressure fuel return line? A pump, or sensor? 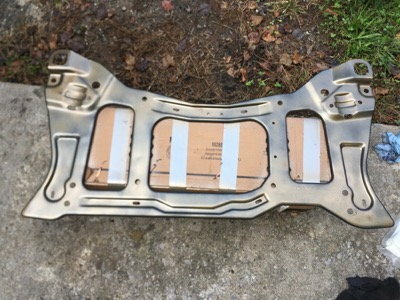 I'm pretty decent with car stuff, so I feel pretty dumb that I can't identify this by looking at it, but I really don't know what it is. Any insight? Glad to hear that you got that job done! As for the unknown part, it is part of the EVAP system and can be described by a few names, but I believe the most accurate is the VAPOR LEAK DETECTION PUMP. EDIT: BTW...I wish I had hands small enough to find durable work gloves to wear! ALWAYS looking and NEVER finding a size that fits my "mitt's"! 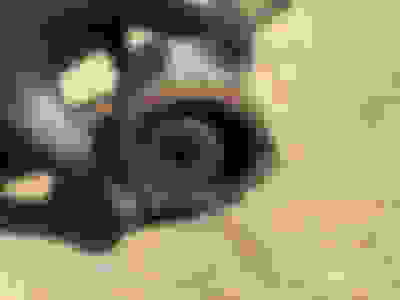 Last edited by REBEL59; 10-04-2018 at 09:19 AM. Thanks for the info, easy to find parts if you know what they're called! I don't suspect there's anything wrong with the vapor leak detection pump, just a curiosity. As for the gloves, Large is a little small for me and XL is too big, but I prefer the dexterity of too tight over too loose. A little baby power helps them slide on and off and keep the mitts dry inside. I got these particular ones on Amazon, but I'm actually disappointed in them — despite being labeled as 5mil, they break way more often then other 5mil ones I've had before. The next box will either be 8mil or maybe just not the cheapest 5mil ones available. I'm pretty sure you can find some XXL online. XXL may still be a little snug..probably XXXL would be a little loose, Both hands have had multiple injuries(NOT from auto repair), but still "function". Wife is tired of the mess from my dirty mitts(which I clean up) when doing home auto maintenance of or stable of 4 rides!